Play’n GO’s latest hit game Sizzling Spins was released last week, and LeoVegas is celebrating with a slot leaderboard where you can win a share of a £20,000 cash prize pool. Get ready to try your luck on this mouthwatering slot and let’s start cooking! The game provider Play’n Go is constantly bringing new game concepts to life, with innovative slots such as Moon Princess and Sweet Alchemy in their growing portfolio. Their latest release is called Sizzling Spins which features wilds that stick when they land on the highlighted reels, and a unique bonus game with increasing multipliers. If you’d like to try out this fresh game straight out of the oven for yourself, LeoVegas is the best online casino to do it right now. An enormous cash leaderboard is running in the casino until the 1st of August, and the players who earn the most points until then will each get a share of a £20,000 prize pool. 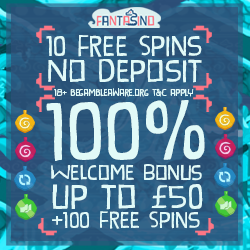 Simply play Sizzling Spins and get 1 point on the board for every £10 you wager through on the game. Your persistence can pay off in a big way, as the first place winner of the race will leave the barbeque party with an extra £10,000 cash in their pockets! Check out the full prize list and terms and conditions on the promotion page at LeoVegas. We also want to remind you about the summer blockbuster promotion that is running until the 19th of August. LeoVegas is giving all of their players a no deposit bonus spin on a selected game four days a week, and the player who wins the most with their spin will get an instant £500 cash prize. There are also £25,000 leaderboards on some of the casino’s most popular slots running each weekend, as well as weekly raffles where you earn tickets by getting big wins on great NetEnt slots such as Gonzo’s Quest, Butterfly Staxx and Starburst. The fantastic Summer of Fun promotion has been up since the middle of June and it ends in just a couple of weeks, so now is the time to take a break from the heat and soak up some of the remaining cash prizes in the final giveaways. Click on the link to visit LeoVegas where you can get all the details about the different offers.